Researching for my novels brings me the same excitement Alan Quartermain must have felt hunting for King Solomon's Mines (the Stewart Granger, Deborah Kerr movie version is the one I like best). I've been known to spend an entire day in a library scribbling notes from someone's diary, spending a wallet of quarters making copies of maps and old newspapers, and trekking from one book or document to the next with a perseverance Lewis and Clark would have applauded. I enjoy the chase when one clue leads me from one historical treasure to the next. My website www.susanfcraft.com features research I’ve done over the past 20 years including some “gems” that surprised me. Most of the posts on my personal blog Historical Fiction a Light in Time (http://historicalfictionalightintime.blogspot.com) also feature my research. The website and blog are my way of sharing with authors looking for good, reliable information (mostly about the Revolutionary War, Colonial America, and the Civil War). I can’t remember a time when I didn’t want to write. Somewhere in my attic I have a book, The Mystery of the Whistling Cave, which I wrote and bound myself when I was eight and enthralled with Nancy Drew. 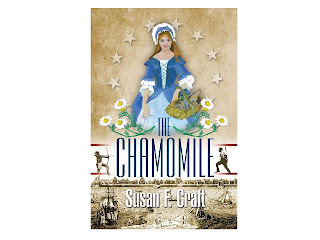 My latest novel, The Chamomile, released in 2011 by Ingalls Publishing Group, is a Revolutionary War romantic suspense, that takes place in Charleston, SC, during the two years the British occupied the city. It won the Southern Independent Booksellers Alliance Okra Pick, for best novel of the season. The Chamomile is the fourth book I’ve authored. The first two were SC State Library award-winning professional works in the field of mental health, and the third, self-published in 2006, is A Perfect Tempest, a historical fiction set in Columbia during the Civil War. 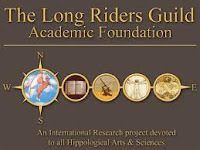 One of the most exciting and fun writing projects I’ve ever done was to collaborate with the international Long Riders Guild, in particular, New York Times bestselling author, Doug Preston; author Jeremy James, known as “Great Britain’s poet of the saddle; and Long Riders Guild founder and author CuChullaine O’Reilly to compile A Writer's Guide to Horses. The Guide provides authors comprehensive information about horses to assist them to accurately portray horses in their works. It is available on the website of the Long Riders' Guild Academic Foundation, www.lrgaf.org. I have a degree in Broadcast Journalism from the University of South Carolina. My 40-year career includes working for SC Educational Television, the SC Department of Mental Health, the SC College of Pharmacy, and currently for the SC Senate. 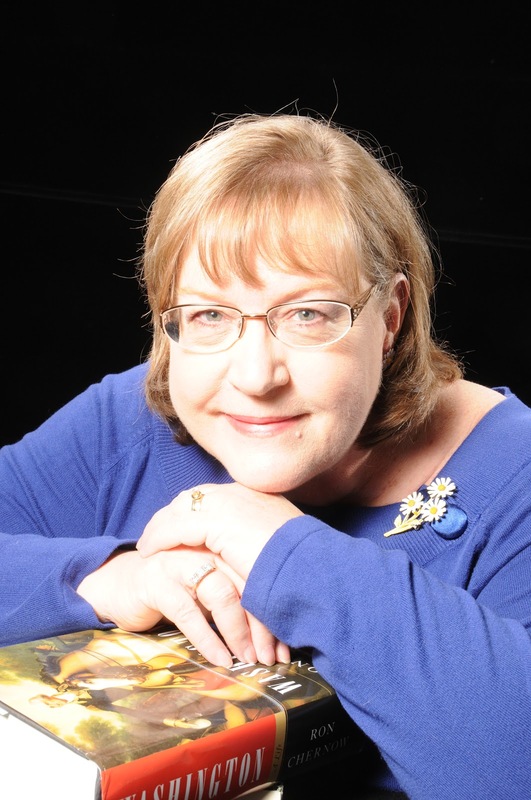 I belong to the American Christian Fiction Writers, the Palmetto Christian Writers Network, the Historical Novel Society, the SC Writers Workshop, the SC Historical Society, the Robert Burns Society, the Colonial American Christian Writers, She Writes, Goodreads, Facebook, and Pinterest. Steeler as a puppy. He's even cuter now. I married Rick, who was my high school sweetheart and now husband of 43 years. We live in South Carolina and have two adult children whom we adore and one grandchild who is my “bestest buddy.” We also have a granddog, Steeler, a doxipoo who stole my heart the moment I saw him as a puppy. I gave my heart to Christ as a teenager and am an active member of my church, singing in the choir since I was ten. 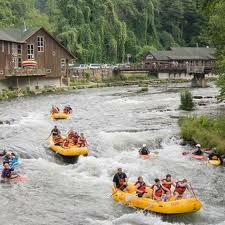 Like many people, I have a “bucket list.” So far, I have screamed my way down the Nantahala River whitewater rafting (although the screaming part was not on the list); I parasailed (breathtaking experience); I scheduled a hot air balloon ride, which, sadly, was cancelled due to bad weather (this greatly relieved my sister whom I had cajoled into going with me); and I recently fulfilled a lifelong dream to learn how to play the drums by joining the University of South Carolina New Horizons Band – the clarinet is next, I think, as the percussion instruments are too heavy to haul around. I want to visit at least ten national parks, take a mule ride through the Grand Canyon, ride a gondola in Venice, and visit a winery in Tuscany, Italy. My giveaway will be a copy of The Chamomile, a packet of chamomile seeds, and a mobcap. Hey Susan, so happy that you are a part of this blog! I would love to go up in a hot air balloon some day! 43 years of marriage so far? Bravo! May God bless you with many more years together. Steeler is adorable. How big is he now? Looking forward to more posts from you. God bless. Hi, Debbie. So good to hear from you. Steeler is 1 and 1/2 years old now and weighs about 20 pounds. So cute. He's coming to stay with us this weekend. Can't wait. My son says, "I'm coming too, mom. If that's okay?" He feels like he's "chopped liver" compared to Steeler. Ha! Susan, I have to say I love the A Writer's Guide to Horses. I love research too, but the research for my latest story is being elusive. However, I think I finally got it narrowed down. The way the Guide came about is a story in itself. I had contacted Mr. O'Reilly for information for my novel, and during the course of an afternoon, he graciously stuck with me and answered all my questions. He's the most knowledgeable equestrian I know. When my book was published, I told him that I thanked him and the Long Riders in my acknowledgements. He asked me if I'd be interested in working with some Long Riders to compile a guide that would answer some of the most frequently asked questions by authors. I told him that I know nothing about horses, but I do know how I want my information to look when I'm researching. The project took off! We not only created the Guide, but also a dictionary of Western and European "horse" terms. Hello Susan. It was nice to learn somethings about you. I'm looking forward to this historical blog. It sounds like so much fun. Best wishes on your writing. Thanks so much, Debi. I would rather research than eat-- and that's saying quite a lot. KJ, after hearing about the recent tragic hot air balloon accident in Egypt, I may think twice about it. At least I know I won't be able to talk my sister into going. They have a fantastic ballon ride place near Asheville, NC, that takes you over the mountains during the peak of the leaf season. It's supposed to be a spectacular sight. Hey Susan! I don't have the writer's guide to horses but I have so many old horse books plus my vet is so fabulous about helping me out. Funny how you had the mule ride at the GC and the Gondola ride as your bucket list. We'd planned to do the mule ride but after reading reviews on how much gas the mules had and how miserable the riders were we decided not to do it. LOL> Went to Venice and everyone said to make sure you take a gondola but when we got there it just seemed so commercialized we went and walked through the streets that no one goes on. So beautiful. We did buy gelati's every night while we were there. You have to get them. I have yet to have one in the US that tastes anything like they have in Venice. Debbie,funny about the mules. Ha! Venice sounds like a dream. Did you go to any of the glass blowing studios? I'd like to do that too. Nice to meet you Susan. I rode on a hot air balloon. A fun experience but have to watch the landing. : ) Guess that is the case with anything that goes up in the air. Love the puppy. Looking forward to reading your posts. Nice to meet you to, Patricia. What a neat middle name, PacJac. There's a balloon trip out West that takes you on a sunrise trip. You land out in the middle of the desert where you are served a beautiful breakfast and then driven back to your hotel. Sigh. I am going to clickover to check out the horse guide for writers when I have the chance, because I'm a fellow equesterian at heart, and I always wondered how authors knew exactly how to convey life with horses as well as they do! :) I am sure most was either based on observation or research through books,... so my hat's off to you to be included in such a wicked project! :) What pray tell, is a mobcap!? I am hoping I might win a copy of your book, as I haven't yet had the chance to read a book by you! :) Congratulations on being included in the CFHS!! :) Cheers! Hi, Jorie. So nice to hear from you. I'll go check out my website in a few minutes to see about the spy page--although I know just enough about computers to be dangerous. A mobcap was also called a mopcap and it's the white gathered cap women wore in colonial American times to protect their hair and keep it clean. 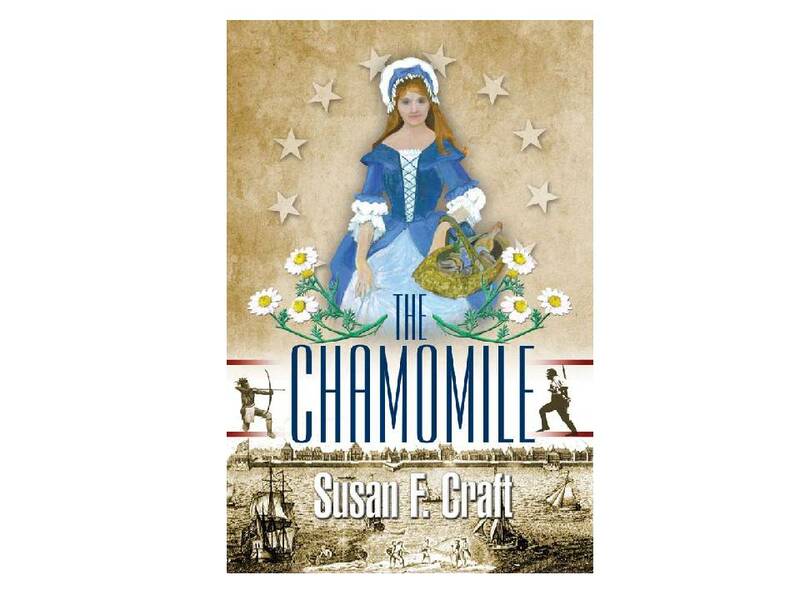 Best wishes on winning a copy of The Chamomile. Blessings. Hi, Susan!!! :::waving wildly from my motorcycle::: (not really, it's too cold). So fun to "read" you here! Karla, I thought I heard a revving sound! Nice to see you here. I cannot wait for your book to come out so I can talk it up and buy a bunch of copies to give as gifts -- and one for my own too. You make having a bucket list sound more and more exciting. I've been dragging my feet about developing one, but I can see how it would expand my horizons. Enjoyed your post.